Spawned from the need to confront a policy that offended personal and professional dignity, from the need for African-American lawyers to associate for personal and professional growth, and from a need to encourage African-American lawyers to participate in the Virginia State Bar, the ODBA grew into an organization that filled not only those particular needs but one that also has provided continuity of leadership and support with respect to the various concerns of particular interest to African Americans and other people of color. 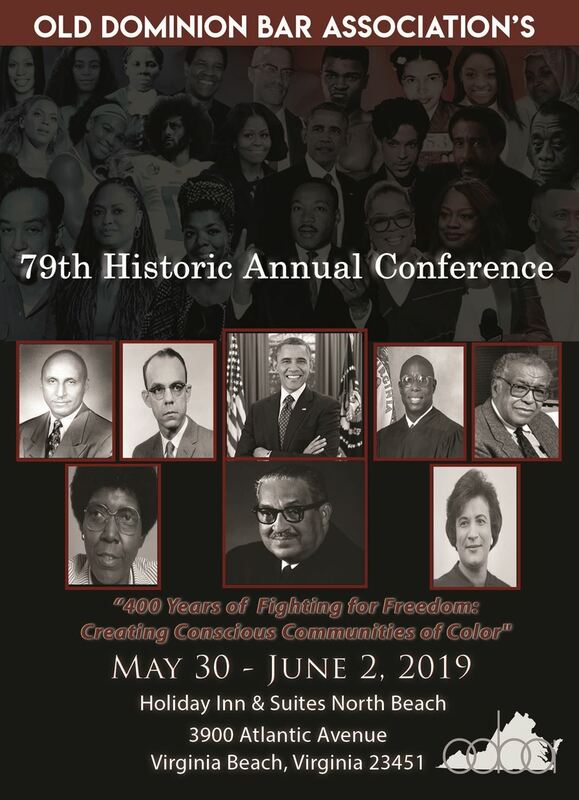 For example, over the past thirty years, ODBA members diligently, and successfully, worked to ensure the appointment of African-American lawyers to judgeships around the state. ODBA dues are paid on a calendar year (CY). Dues received after January 31st will be paid at an elevated rate. A member of any state bar in the US (other than VA) who is a resident of or employed in this state; a law graduate, not yet admitted to practice. Student members do not pay dues and are not entitled to a vote.